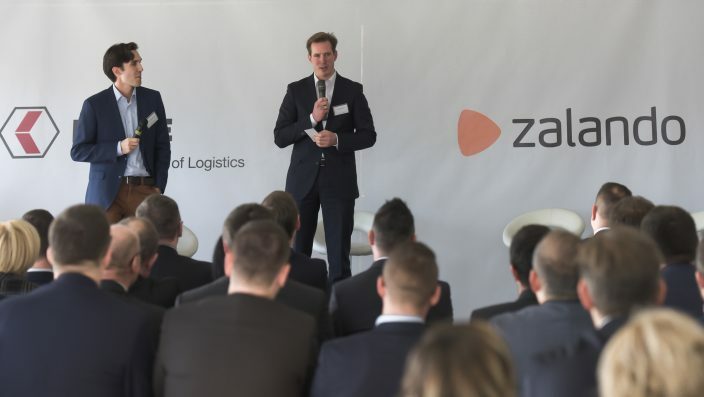 David Schröder (l.), Senior Vice President Operations at Zalando and Jens Fiege, Managing Board Fiege Logistik, spoke with the many invitees comprising representatives from politics, the workforce and the press. 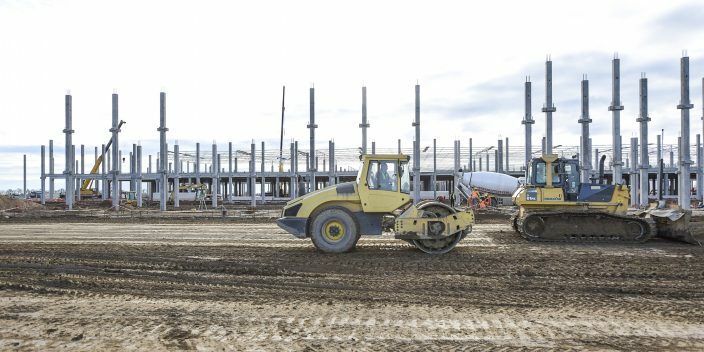 A look at what the construction site in Gryfino currently looks like. 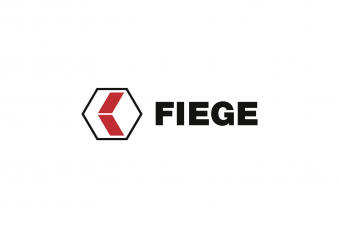 Fiege will start operations at the Zalando facility in 2017 with a workforce of 1,000. David Schröder (l.) and Jens Fiege before they lowered the capsule into the ground. What was placed inside the time capsule? 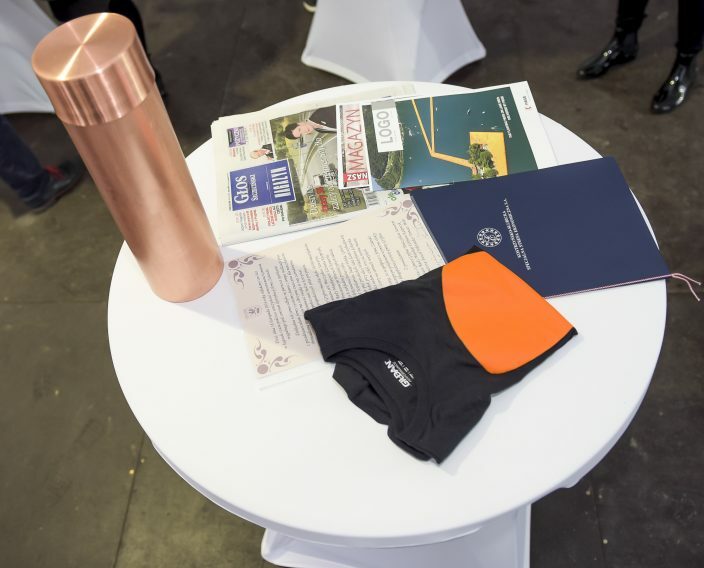 A Zalando shirt, Fiege’s magazine for customers, Logo plus a letter by the city of Gryfino and a current issue of a local magazine. ...and let into the foundation. The event was met with great interest from both the local media and politicians. 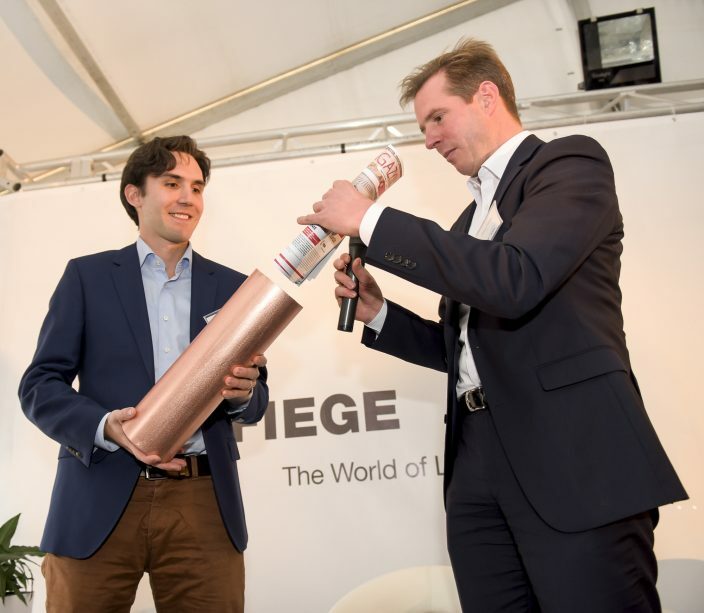 Zalando and Fiege have enjoyed close ties as strong partners for years now. Gryfino, 22nd November 2016. 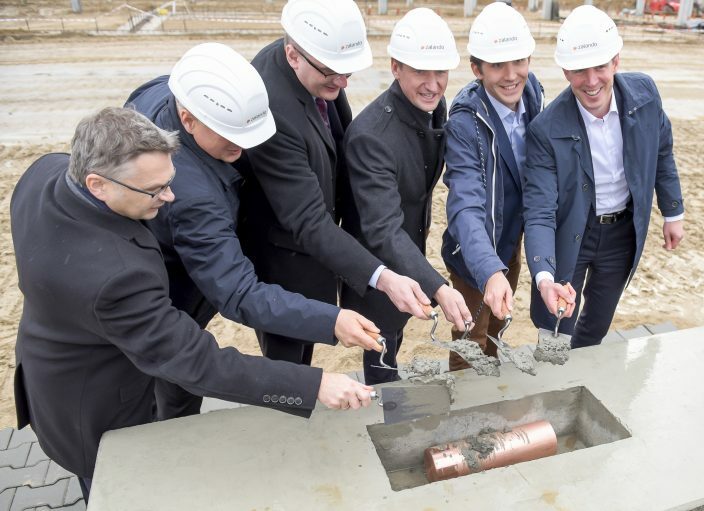 Fiege will operate Zalando’s new facility in Gryfino near Szczecin, Poland. 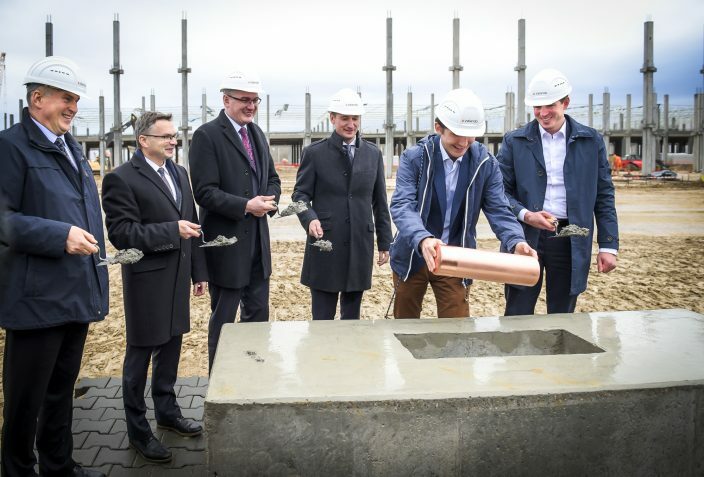 The cornerstone ceremony took place in Gryfino near Szczecin in Poland on Friday, 19th November. 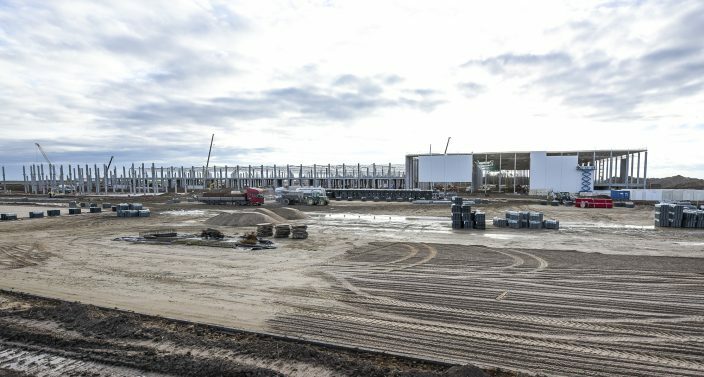 Construction of the 130,000 square-metres large logistics centre dedicated to Poland’s eCommerce market started in August of this year. The first orange-coloured Zalando parcels are to be shipped starting autumn 2017. 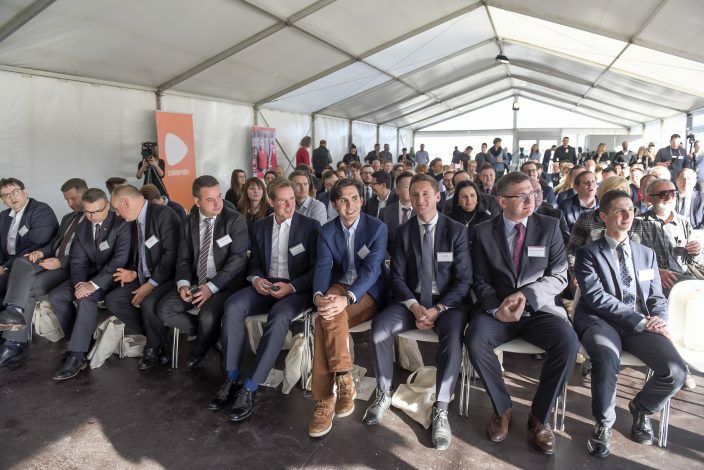 For more impressions from the event held in Poland, take a look at the photo gallery.